Hanging outdoor lighting can be reminiscent of the Victorian Era; it can also be cost effective when you choose from our selection of affordable hanging lanterns, outdoor pendant lighting, outdoor lantern lights, hanging outdoor lights, and more. Shapes available in this outdoor hanging lanterns sale include Old English outdoor pendant lights and transitional designs for your preferred outdoor pendant light, outdoor hanging lantern, and others. 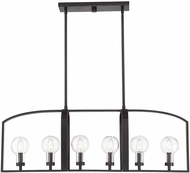 You can also browse our inexpensive outdoor hanging lights in our hanging fixtures sale and select outdoor hanging lights or an affordable outdoor pendant light with finishes such as Imperial bronze, Marcado black, and aged copper. Decorate your outdoor space with hanging outdoor lights from below and enjoy the extra light and improved appearance that the best hanging light fixtures create. With a wealth of natural charm, hanging outdoor lighting fixtures that have the best outdoor hanging lantern design promises to enhance your exterior space. Add a pop of color with pendant outdoor lighting on the front porch, and make sure that the outdoor pendant lighting is a great accent color. Choose outdoor hanging light fixtures in a revival traditional style or in another style appropriate for outdoor hanging lanterns. You will also get needed illumination from outdoor lantern lights. 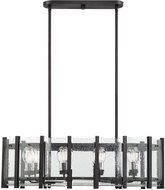 Don't count on natural lighting or traditional outdoor fixtures to provide the right light and ambience for your outdoor parties; take advantage of our selection of hanging lights, lanterns, other hanging light fixtures to meet your needs. And don't fear that you will be unable to put up your hanging lanterns or outdoor lantern lights once they arrive; hanging outdoor lights is easy. 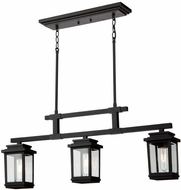 Cheap outdoor hanging lights from big box stores may not be of the same quality as those found in our selection; Buy hanging lights, lanterns, outdoor pendant light fixtures, or outdoor hanging lantern fixtures to experience all the convenience, beauty, and cost savings that come when you order from Affordable Lamps.